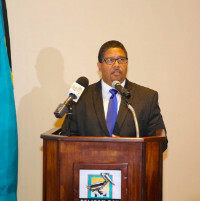 The government has made provisions to empower people during this current budget period, said Deputy Prime Minister and Minister of Finance, the Hon. Peter Turnquest during the Grand Bahama Chamber of Commerce Business Luncheon, June 15, at Pelican Bay. 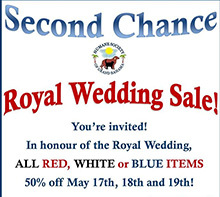 Come see us at the Second Chance shop and shop our amazing Royal Wedding Sale! Animal lovers wanted! 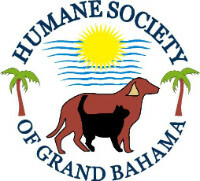 Please consider becoming a member of the HSGB and help us reduce animal suffering and pet over-population on Grand Bahama. There are so many ways to help...fundraising, humane education, spay/neuter canvassing, public outreach, even helping at the shelter by walking/socializing dogs and socializing cats. 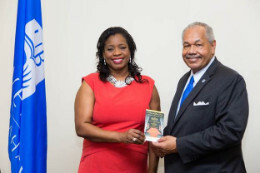 Grand Bahama Port Authority (GBPA) Executives received a courtesy call from representatives of the British-Caribbean Chamber of Commerce (BCCC). The BCCC was inaugurated in 2001. In keeping with Government’s commitment to Public/Private partnerships for growing the economy, Senator the Hon. 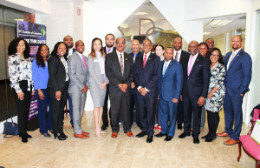 Kwasi Thompson, Minister of State for Grand Bahama, and Mr. Edison Sumner, CEO of the Bahamas Chamber of Commerce and Employers Confederation, led a delegation of Bahamian public and private sector officials on a trade Mission to the Washington DC and Baltimore area in the United States on March 5-7th, 2018. 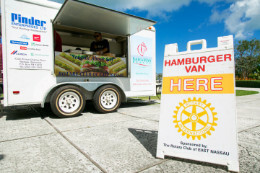 Bahamians living on New Providence in the past two decades have likely seen the Rotary Club of East Nassau’s Burger van, which has become synonymous with the now world famous ‘Rotary Burger’. Over the past 20 years the Burger Van has been well recognized at fundraising efforts and assisted countless charities like BAARK, The Bahamas Humane Society, Bahamas National Trust and the Junior Baseball League of Nassau achieve their financial goals. 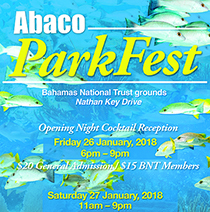 Bahamas National Trust presents their annual fundraiser now known as ParkFest on Friday, on Friday, January 26 and Saturday, January 27. 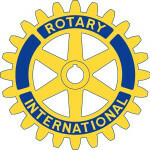 The opening night cocktail reception is from 6 - 9 p.m.; and on Saturday the event runds from 11 a.m. to 9 p.m. 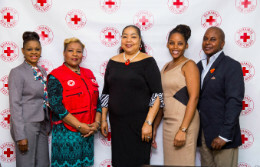 The Committee for the 46th Annual Red Cross Ball today announced that planning was underway for the signature formal event of the 2018 calendar. Under the patronage of Her Excellency Dame Marguerite Pindling, GCMG, Governor-General of The Commonwealth of The Bahamas, the Ball will be held Saturday, January 27, 2018 at 7pm at the Baha Mar Convention Centre, Cable Beach. 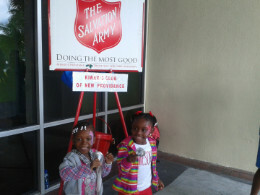 The season of giving officially kicks off because The Salvation Army’s familiar Red Kettles make their seasonal debut on New Providence, starting Saturday, November 18th you’ll find those kettles and the jolly ting-a-ling-ling of handheld bells that accompanies them. “It’s Beginning to look a lot like Jollification” and that is the theme for the Bahamas National Trust's very popular Christmas fundraiser being held on November 18th and 19th at the Retreat Gardens on Village Road. 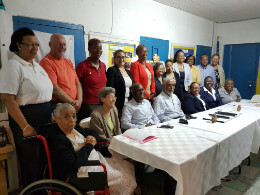 The Salvation Army Bahamas Division launched for the second year Need Has No Season Fundraising Campaign in support of the Women & Children’s Emergency Shelter Project chaired by Mr. Felix Stubbs, Chairman and Cameron Symonette, Board Member of The Salvation Army’s Advisory Board. The school year may have ended but meaningful learning experiences continued for nearly 100 youths. 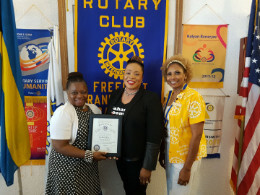 They spent a week exploring Grand Bahama, fulfilling personal self-development goals on an amazing adventure which could bag them an award. 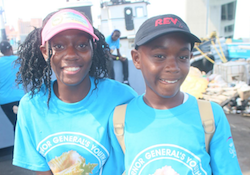 "Lucayan Trails," the code name for this year's Governor General's Youth Award (GGYA), Bahamas Award Super Expedition (BASE) runs for 10 days from June 29 to July 8. Major business donors have pledged over $200,000 to support management of the country's national park system. 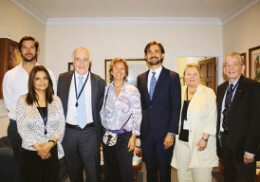 The companies were recognised for their donations during a special breakfast meeting at the British Colonial Hilton to launch the Bahamas National Trust’s (BNT) Corporate Partnership Programme. 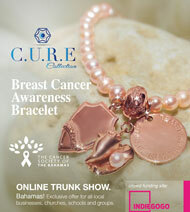 The epidemic-like figures of breast cancer throughout The Bahamas are staggering. In an attempt to lower these figures, a new initiative will be launching later this Summer 2017 by C.U.R.E, on the crowd funding website Indigogo, which seeks to help raise awareness about breast cancer, whilst also helping to raise funds to support the great work of The Cancer Society of the Bahamas. Of the 12 snakes that are found in The Bahamas, all are harmless to humans and under serious threat from habitat loss and indiscriminate killing. 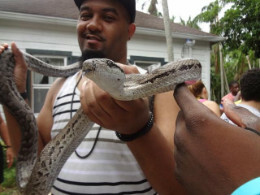 Photos and videos abound on social media showing Bahamians killing snakes, often with a sense a pride as if that is the best way to deal with them.